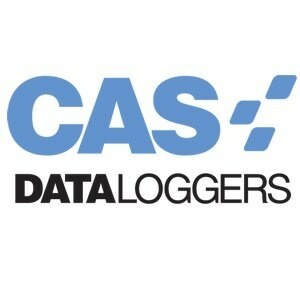 The FieldLogger Data Logger is a versatile, robust, and economic data logger. 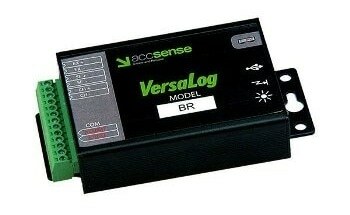 The Fieldlogger is designed to handle analog, digital, and other types of variables with high resolution and speed. It is a high-connectivity and high-performance equipment and yet easy to configure and work. 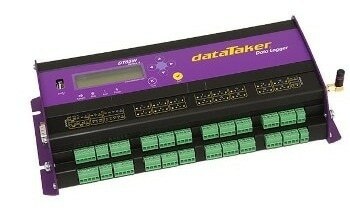 It contains eight configurable analog inputs that can read thermocouples, Pt100, Pt1000, voltage, and current signals. 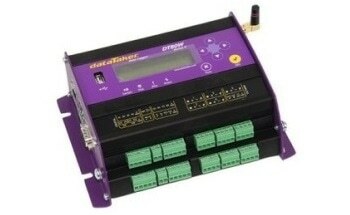 It also has two relay outputs and eight digital ports independently configurable as outputs or inputs. Up to 128 mathematical channels can be used to do the operations on the measured values. Up to 32 alarm events can be detected, allowing e-mails, output activations, and SNMP traps sending. 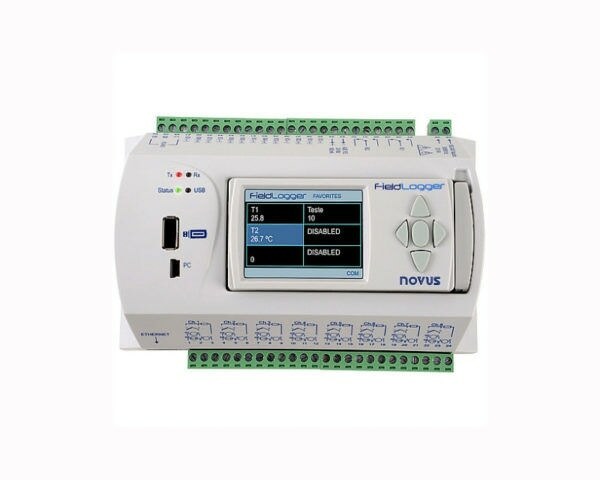 The RS485 interface can work as a Modbus RTU master or slave. 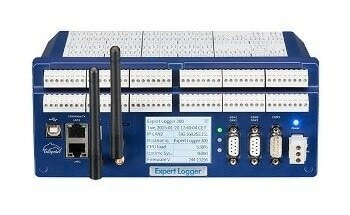 As a master, it is capable of reading and logging up to 64 external channels. It has a 10/100 Mbps Ethernet interface that permits access through e-mails sending (SMTP), a browser (HTTP), FTP (client and server), SNMP, and Modbus TCP. The FieldLogger has one USB interface to be linked to a computer for configuration, monitoring, and data download purposes, and another USB port for plugging a flash driver for data retrieval. The 512 k logging basic memory is used to store data and it can be considerably expanded with an SD card. 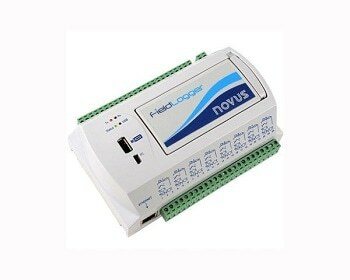 The FieldLogger can at present connect to a server in the cloud, permitting access to its data from anywhere at any time. A dedicated color HMI can be linked or remotely set up for local indication or configuration. A user-friendly configurator software can be accessed by Ethernet, USB, or RS485 and also provides means for logged data downloading, on-line monitoring, and exporting to spreadsheets and other formats.